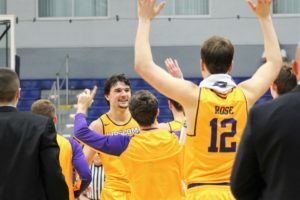 JACKSONVILLE, Fla. – The Lipscomb men’s basketball team has always been known for its offense, dating back to the Don Meyer NAIA days in the 1980s and 90s. But this season, it’s been the team’s defense that has turned close games into blowouts. Lipscomb’s 92-55 victory over North Florida Wednesday night was the team’s largest margin of victory in its ASUN history. KenPom.com ranks Lipscomb as the nation’s 14th-best in adjusted defensive efficiency, or points allowed per 100 possessions. The Bisons have allowed just 66 points per game in ASUN play, and they’ve held four conference opponents to less than 60 points. The adjusted defensive efficiency statistic is helpful for gauging the strength of the Lipscomb defense because its high-tempo offense affords opponents more possessions and opportunities to score. The Bisons ranked 316th in the country in adjusted defensive efficiency in 2014-15, but they have steadily climbed the rankings since. The Bisons, who have a +2.8 turnover margin, play with intensity on defense and often force opponents out of their rhythm. North Florida committed 15 turnovers to Lipscomb’s 10, and the Ospreys shot just 34 percent from the floor. “Defense is so much effort and a willingness to do what you’re supposed to do,” Alexander said. “You’ve got to be unselfish to be a good defender, and you’ve got to have an unselfish team to be a good defensive team. Entering Wednesday’s game, Lipscomb had lost 14 of its previous 17 matchups with North Florida, including five in a row at UNF Arena. The Ospreys have haunted Lipscomb in recent years. They beat the Bisons three times in 2016-17 and ended Lipscomb’s ASUN tournament run with a 91-85 upset in the semifinals that season. “It’s a sigh of relief,” Buckland said of the win. “A lot of us were part of that team. 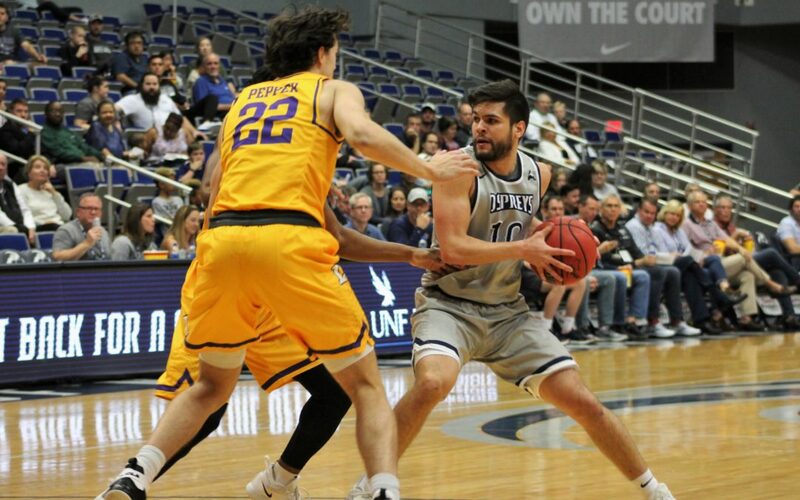 Alexander’s misfortunes at UNF Arena date back even further. 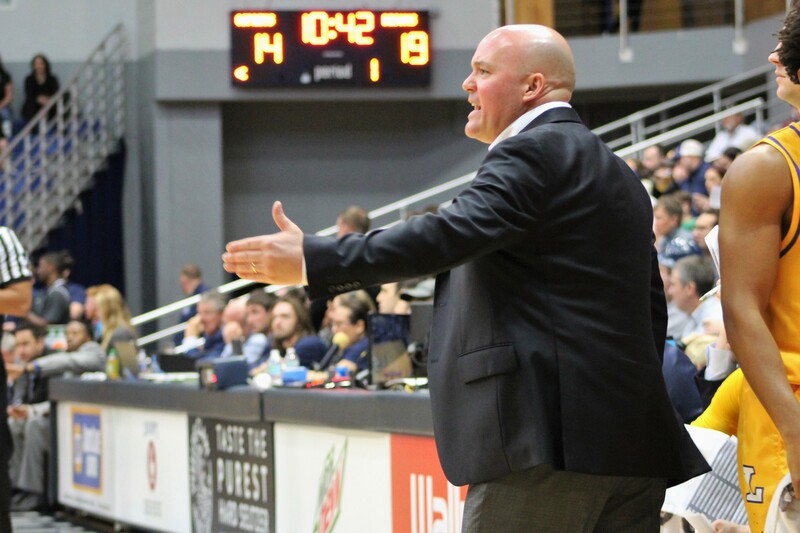 While coaching at Belmont years ago, Alexander and the Bruins returned to the visitor locker room to go over final game preparations and found an intruder had stolen wallets and personal electronic devices. But the Bisons have now won the last three meetings after their latest blowout victory, which put the North Florida woes to rest for now. 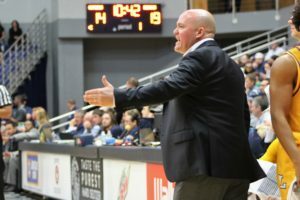 After going scoreless against Liberty and North Alabama, Buckland found his stroke from long range Wednesday. The 6-foot-5 guard went 5-of-5 on three-pointers to finish with a season-high 15 points. “I just go out there and play my role to the best of my ability,” he said. “If the ball comes my way, then I put it up. And I put in the work beforehand to make sure I’m confident in putting it up. Alexander said Buckland plays whatever role asked of him. On a team full of scorers, that often means focusing on defense. Buckland is averaging six points per game and shooting 47 percent from the field, including 39 percent from beyond the arc. National media outlets have taken notice of Lipscomb’s 10-0 start in ASUN play. Every major bracket expert currently has Lipscomb in the field of 64. ESPN’s Joe Lunardi lists the Bisons as a No. 11 seed playing seed Buffalo in Tulsa. CBS Sports expert Jerry Palm has Lipscomb as a No. 12 seed playing Purdue in Hartford. SB Nation is especially high on Lipscomb, listing the team as a No. 9 seed playing Cincinnati in Jacksonville. USA Today also has the Bisons as a No. 11 seed pitted against Mississippi State in Des Moines.